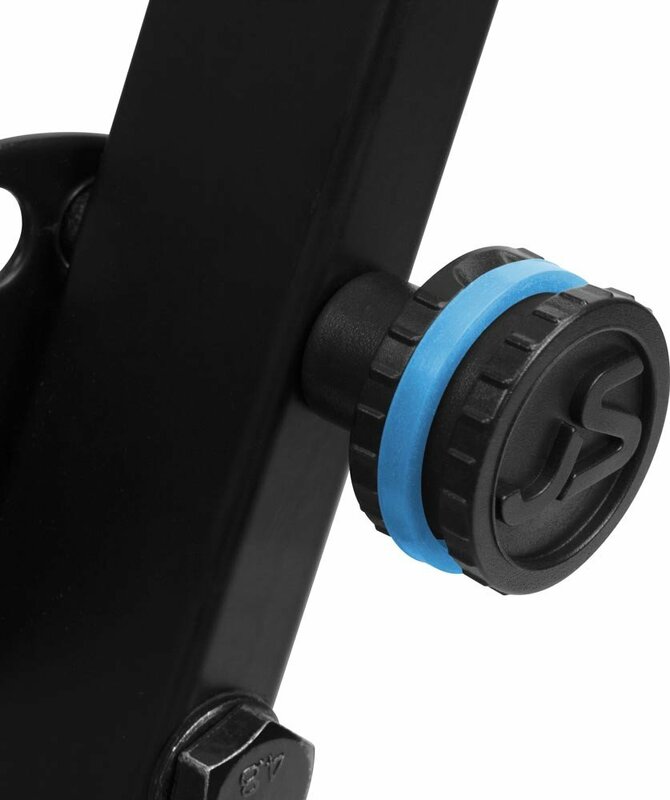 Ultimate Support's JS-500C is an X-style keyboard stand that comes with blue color bands (other colors sold separately), making it possible to personalize this JamStands® Series stand. 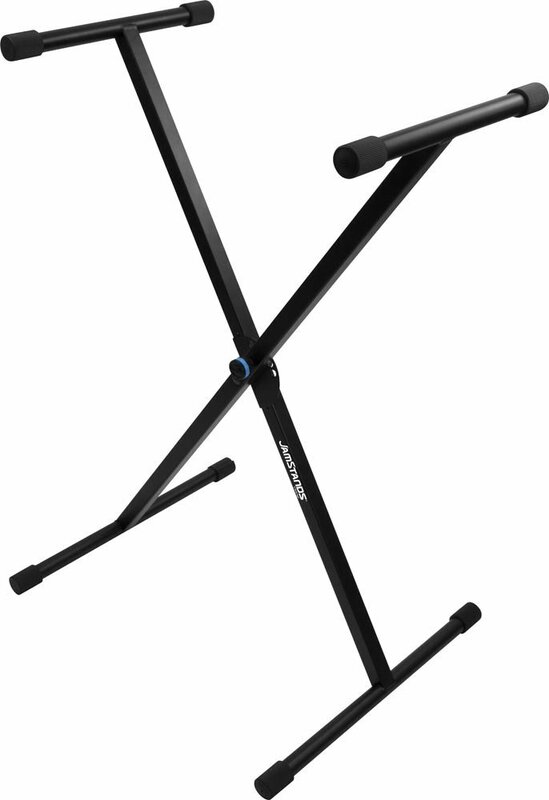 The sturdy, lightweight JS-500C is a single-braced X-style keyboard stand that's easily adjustable to sitting or standing heights thanks to the height-adjustment knob. Folds flat for easy transport and storage and ships assembled. There are no reviews to display with the selected filters. Very easy to adjust and works great for my keyboard. For the price, this was an excellent deal. Thank you for submitting your comment. It is in a queue to be moderated.